Yesterday, Sunday, February 25th, was the Memorial Day for the Victims of Communism. 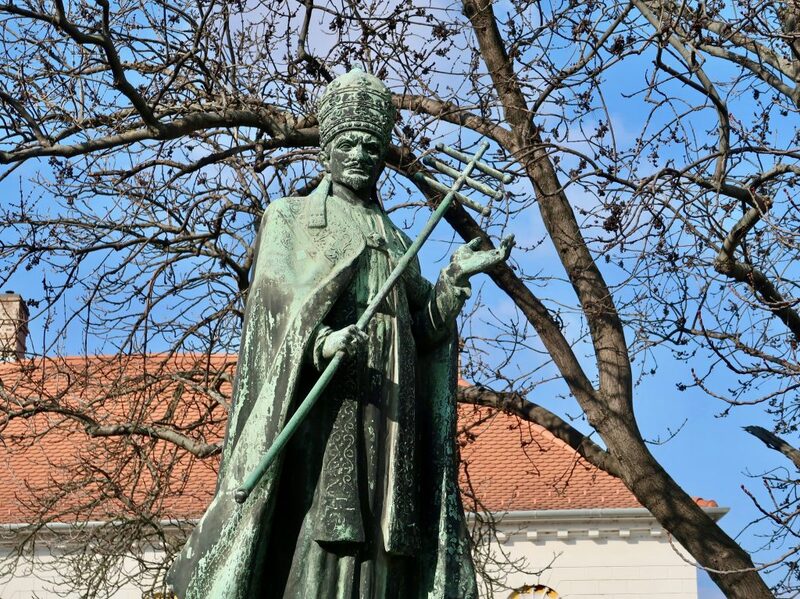 My husband is still learning about the older Hungarian relatives in my family – as am I. To mark this sombre occasion here in Budapest, we decided to follow in my Grandfather’s frightening footsteps at the House of Terror Museum in Budapest. Hungary survived two terror regimes – Nazi Germany and the Soviet Union. By the early 2000’s, the time had come for Hungary to erect a fitting memorial to the victims. As well as a memorial, the museum presents a picture of what life was like for Hungarians during those times. House of Terror Museum Building. The facade that casts the shadow of terror onto the sidewalk below. 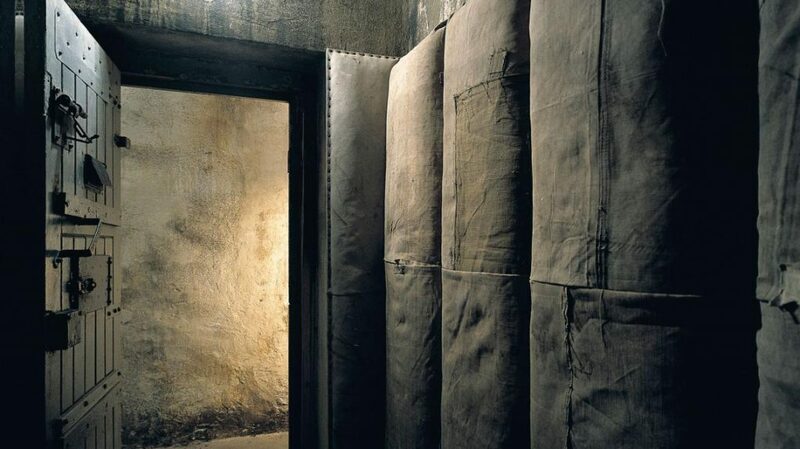 The House of Terror Museum opened on February 24th, 2002. The museum is located at 60 Andrássy Avenue. It is the only one of its kind. It is a monument to the memory of those held captive, tortured and killed in this building. My grandfather, János Légrády, was one of them. 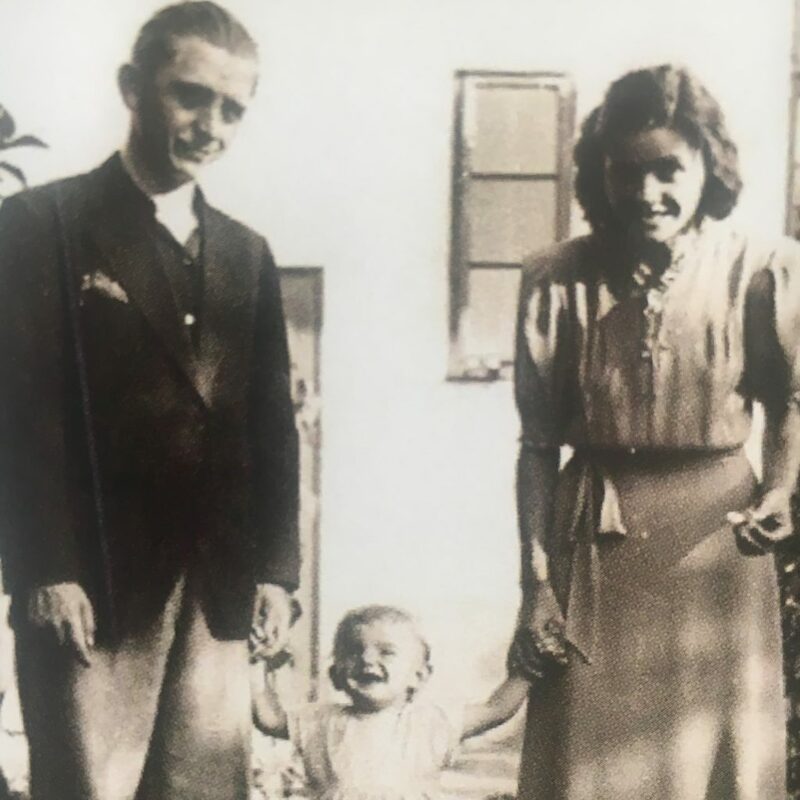 My grandfather, János Légrády, and grandmother with my father when he was just a toddler. The museum starts on the second floor and finishes in the basement. Each level has a typical classic apartment block layout with a full size T-54 Russian tank in the courtyard. The three floors are full of black and white pictures of the Nazi and communist occupations’ victims. Many rooms have simple black walls with silver text, black and white television screens, dim lighting and bone-chilling music. To get to the basement level, you take a slow moving elevator that brings you down to hell on earth. The elevator displays a video describing the torture. This was my second visit to these dungeons – and I felt physically sick. The different cells leave no doubt about the creativity of evil in humanity. A view from inside a cell looking out in the basement level of the Terror House. When you leave the museum, you see both the memorial Wall of Tears, as well as a wall that lists the perpetrators. And let me be clear, this includes everyone from the delivery boy to those that held the highest offices. NOTE: A vast majority of the information written on the walls of the museum is in Hungarian only. However, each room has printed sheets with detailed information available in English. Many of the television screens do include English subtitles (some of it poorly translated). You can also get a guided tour or an audio headphones self-guided tour in a variety of languages. The building was used by both the Arrow Cross Facist Party (Nazis) and the AVH (State Protection Authority). The Nazi occupation of 1944 was short but disastrous. Within two months, 437,402 Hungarian Jews were transported to death camps. On August 27, 1944, Soviet Troops crossed the Hungarian border. And while the fascist regime lasted less than a year, the Hungarian Communist regime lasted for 40 years. The AVH were the communist secret police of Hungary very similar to the KGB. Furthermore, the AVH had a reputation for extreme brutality. It was this under this authority that my grandfather was taken. 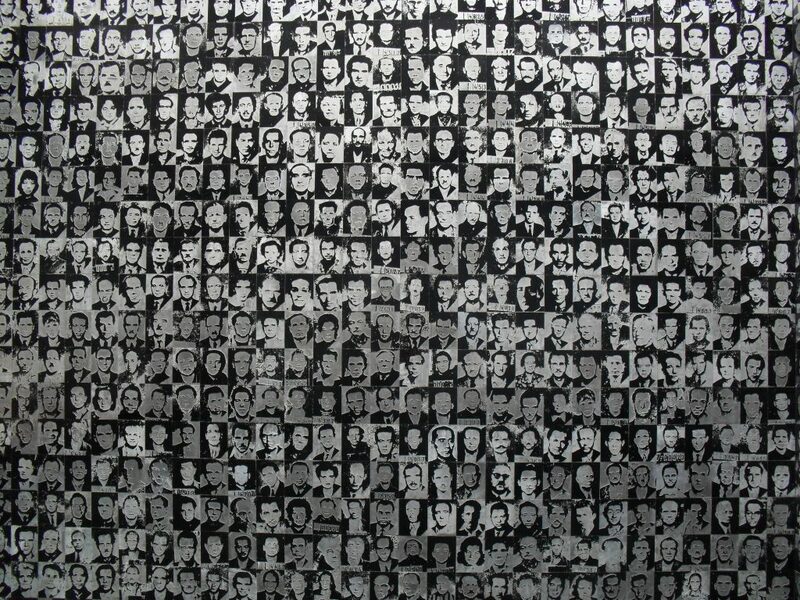 Faces of the Victims on the walls at the House of Terror Museum in Budapest, Hungary. In the mid-fifties my father came home from school to discover his father was missing. After 3 days, they were able to figure out he had been taken to the AVH Headquarters. My grandfather was allegedly held in a cell in the basement for 3 weeks. During this time he was routinely beaten until it was discovered that he was innocent of the charges against him. Upon his release, much of his hair had turned white. My grandfather’s recovery from this ordeal took 9 months. 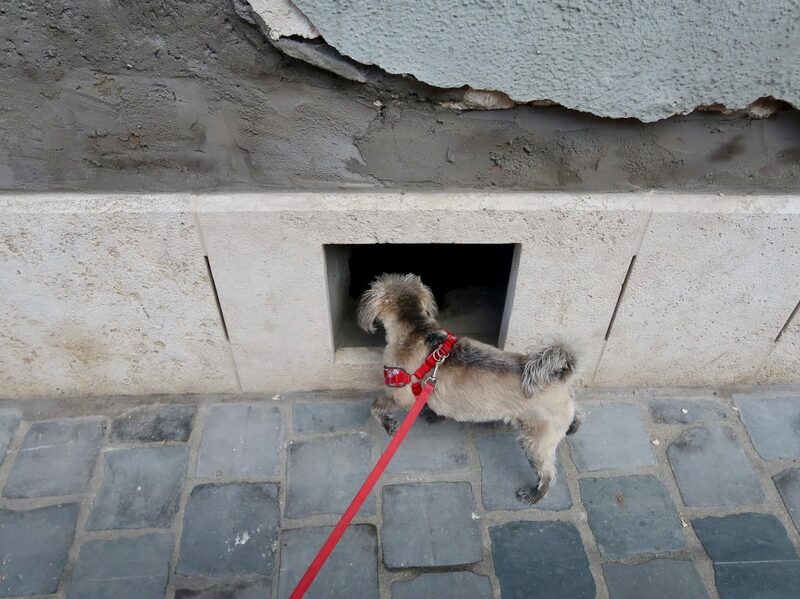 While János was offered back his previous job, he took a new one instead. 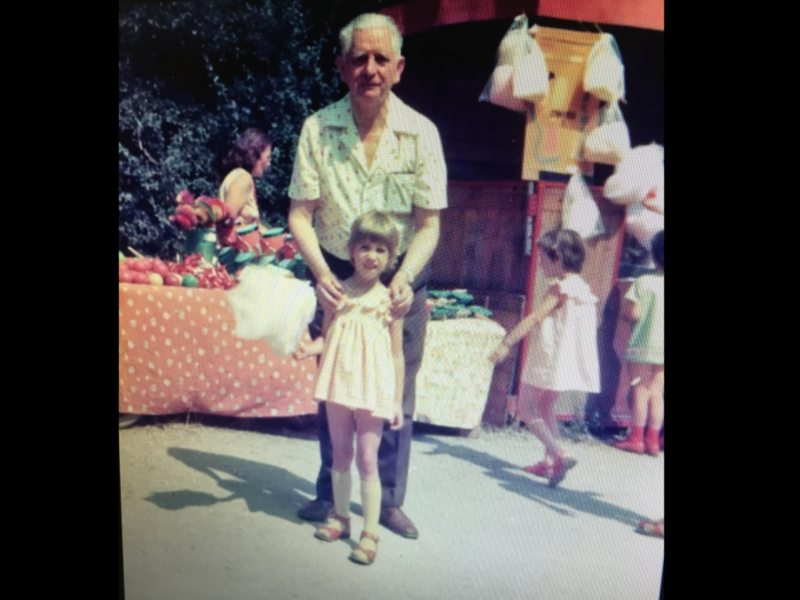 My grandfather didn’t go back because he felt he had been betrayed. He was one of the “lucky” ones. My grandfather died here in Budapest in 1977. When visiting from Canada, my family still regularly visits his grave. 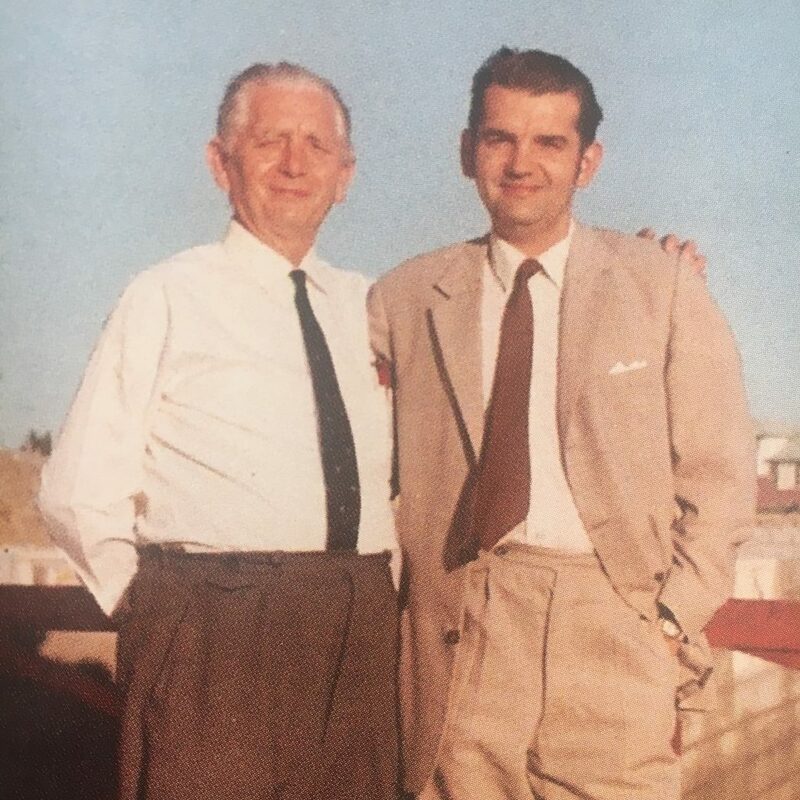 My grandfather and my father during his only visit to Canada in 1969. 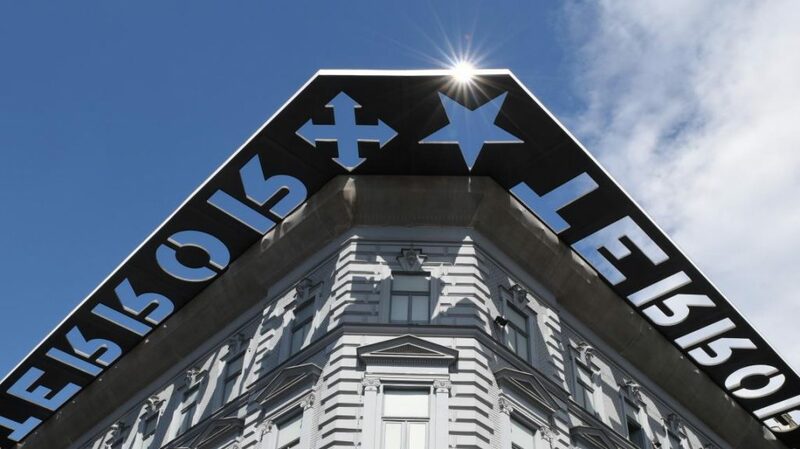 The House of Terror Museum is located at 60 Andrássy Avenue in the 6th District of Budapest. It is open from Tuesday to Sunday from 10 a.m. to 6 p.m. A full price ticket is 3000 HUF. There is a reduced rate of 1500 HUF for people aged between 6-25 or 62-70 (citizens of the EEA). 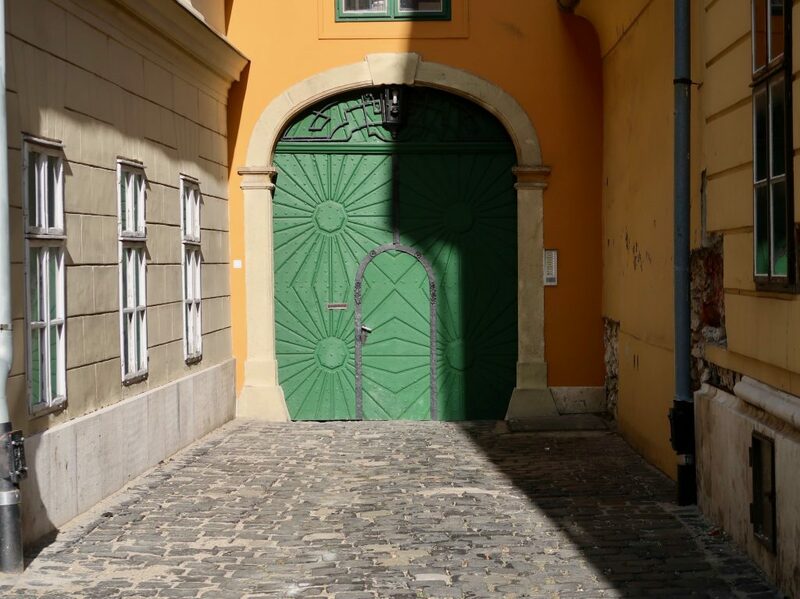 I highly recommend a visit to this museum – especially for expats that live in Budapest. It is vitally important to not forget this very recent history. It has been busy around here lately! Andrew was in England and last week both of us went to Amsterdam. 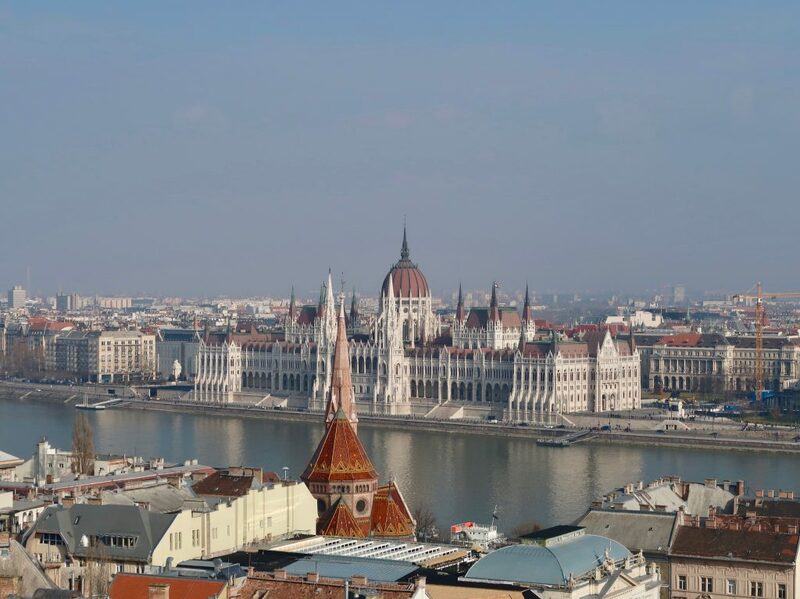 We had a great week there, but we are happy to be back in Budapest. 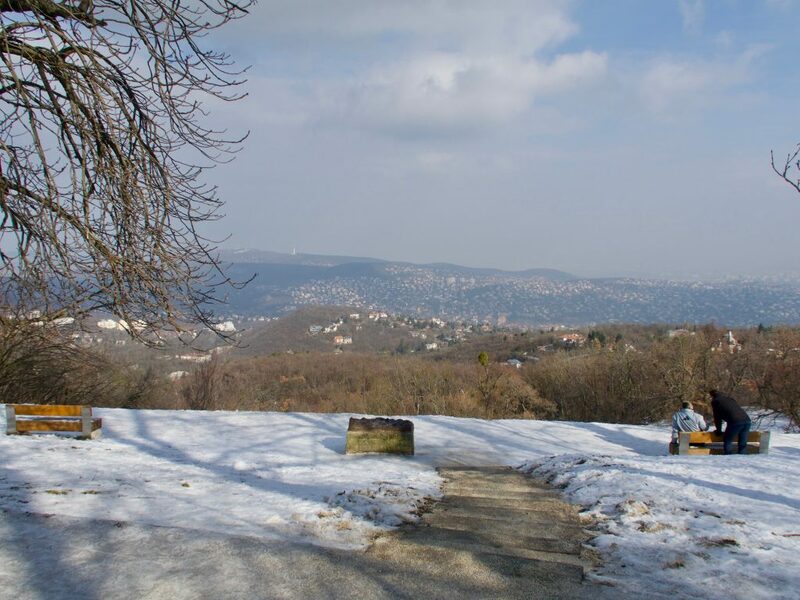 Winter is almost over here, and we were eager to go exploring the Buda Hills during the wintertime. Luckily, we had yet another bright and sunny winter’s day for our adventure to begin. We haven’t really had any snow here in the city – at least none that lasted more than a day. Furthermore, I have never gone up into the Buda Hills. I mean, I’ve been up to the Citadel to view the city, but never up any further. Since our dog, Lucy, is always up for an adventure, Andrew and I decided set off on a wintertime walk and find some snow. And although a world away, its only a 20 minute ride on public transit from Széll Kálmán Metro Station to get to Normafa Park. 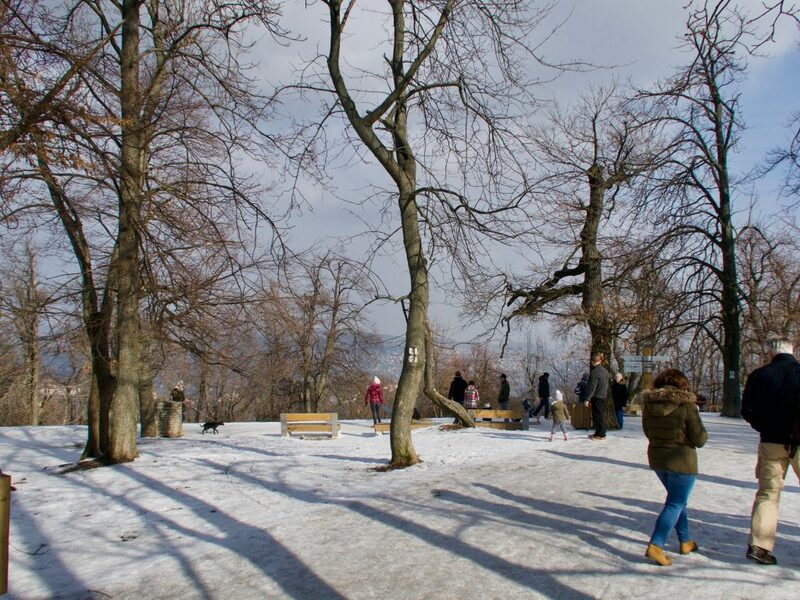 Normafa Park is a sport and recreation park open all year round with incredible views of Budapest. 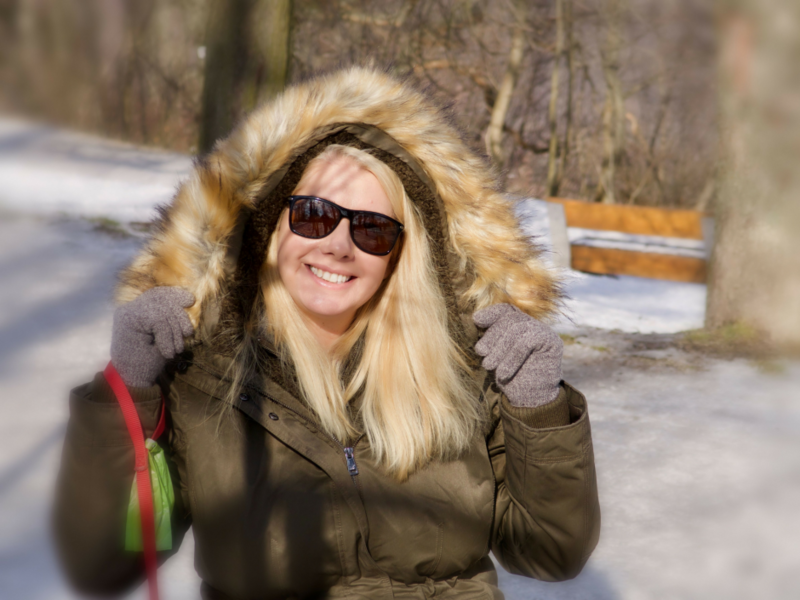 During the winter you can find skiing, sledding and hiking trails open. 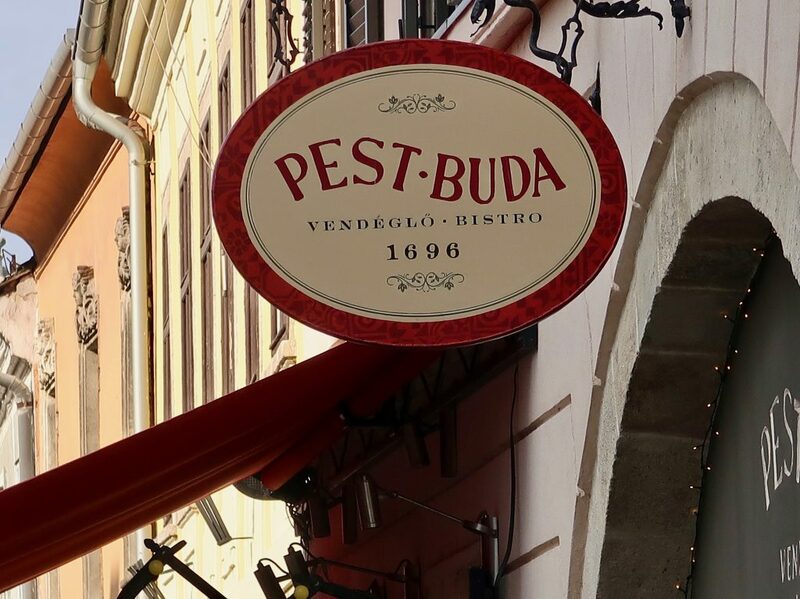 Its been a favourite spot in the Buda Hills for visitor and locals for over 100 years. “Normafa” is named after the beech tree that grew there for hundreds of years. Unfortunately, the tree was destroyed by lighting in 1927. 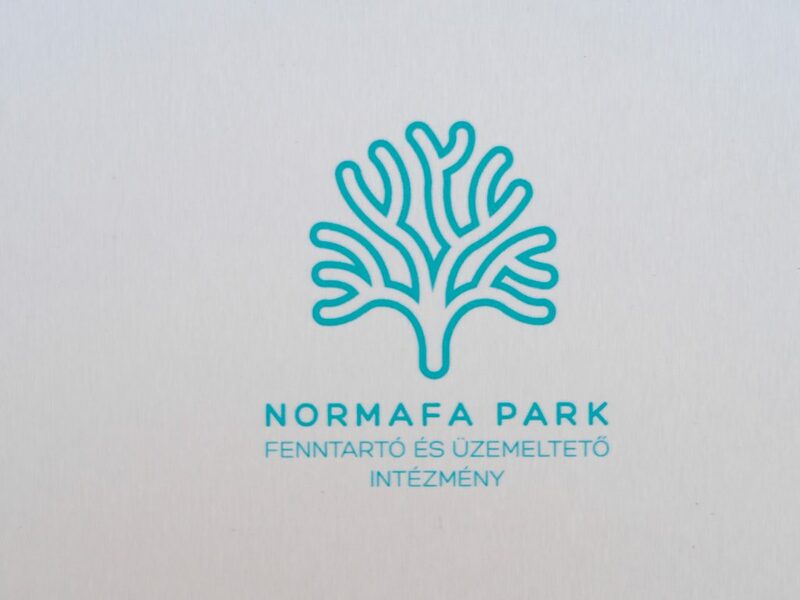 The memory of Normafa is preserved today by a memorial plaque erected in 1967 for the famous tree. As soon as we got off the bus, we found the snow! It was so beautiful and looked just like a postcard – that was until you tried to walk on it. Lamentably, the sun had turned the walking paths into sheets of ice. And while it didn’t slow down some people (or Lucy), it was definitely too treacherous for me to walk on safely with my wonky foot. Just one of the many hiking and walking trails to be found at Normafa. Lucy loving the Buda Hills at Normafa Park. 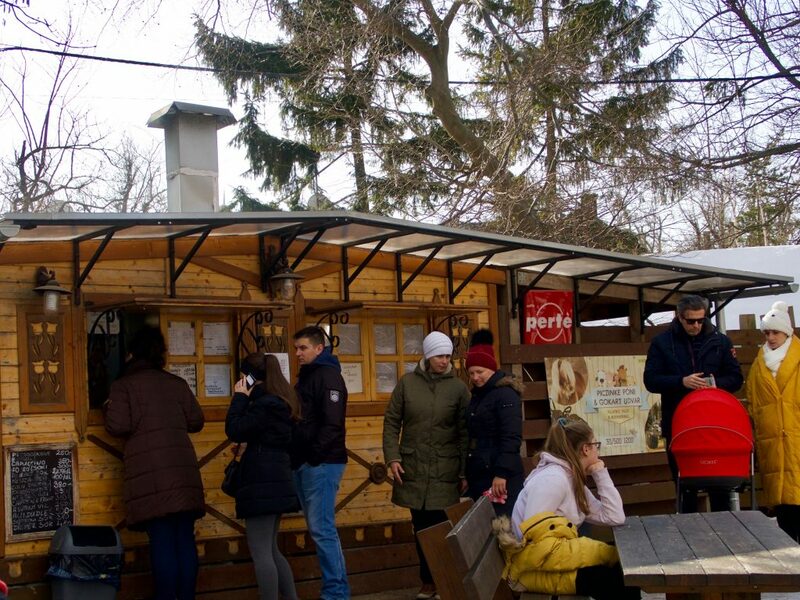 While I would recommend a picnic, there are a few cafés and restaurants to be found at Normafa. 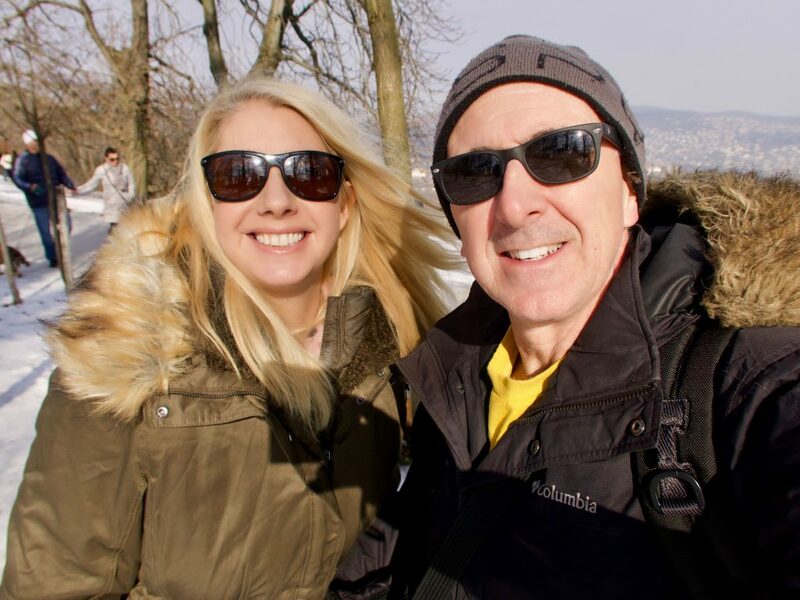 Andrew and I enjoying the winter sun and spectacular views of Budapest. I would highly recommend you visit this lovely park. 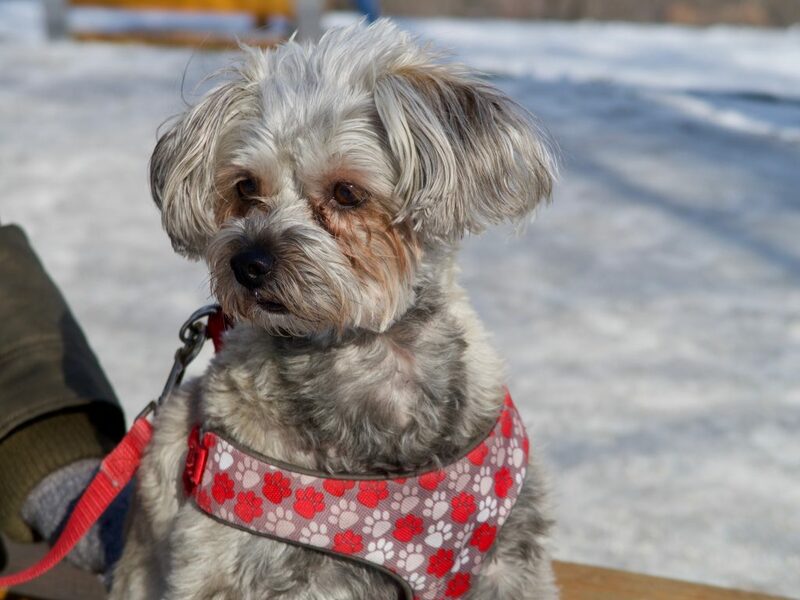 There is so much to do for everyone – and their dogs. For the latest in current weather conditions and events, you can check out the official website for Normafa. The website and their Facebook page is written in Hungarian, but Google translate can easily assist. After a carefully taken short walk, we decided it may be best to return another day. Either a day with more or less snow to reduce the ice. Personally, I can’t wait until the spring to come up to the Buda Hills with a wine and cheese picnic. And while Lucy protested vigorously, we decided to get back on the 21A bus and head a little further down to the Castle District (District 1). Changing buses at Széll Kálmán Station, we took a short bus ride to the Fisherman’s Bastion. Since we were further down the hillside, there was no snow and easy walking. Seeing that it was now mid-afternoon, it was crowded with tourists so after a few key photos, we walked around some smaller streets. 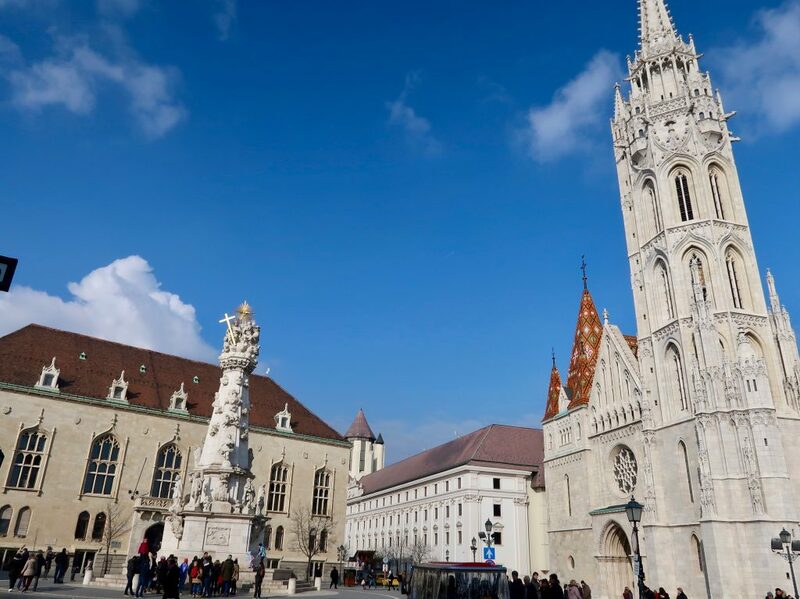 Matthias Church is a Roman Catholic church located in front of the Fisherman’s Bastion at the heart of Buda’s Castle District. 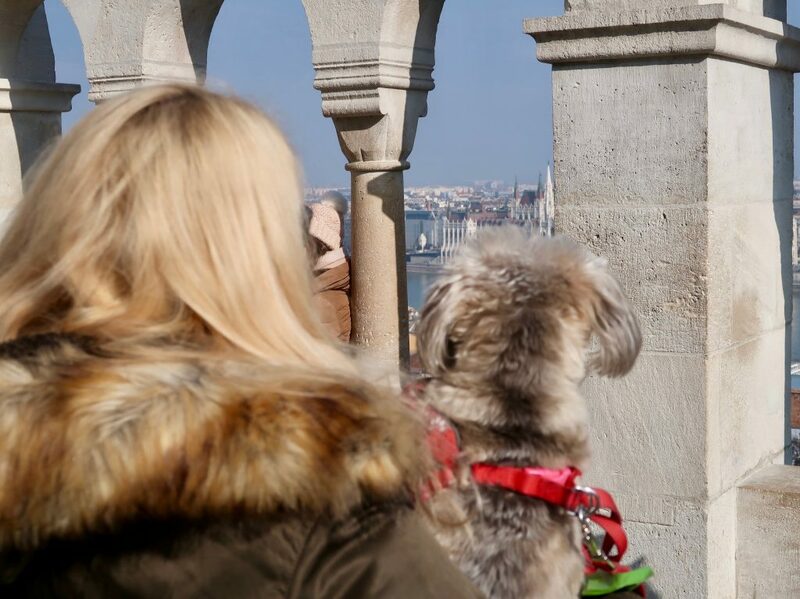 The Fisherman’s Bastion is a terrace in neo-Gothic and neo-Romanesque style situated on the Buda bank of the Danube. 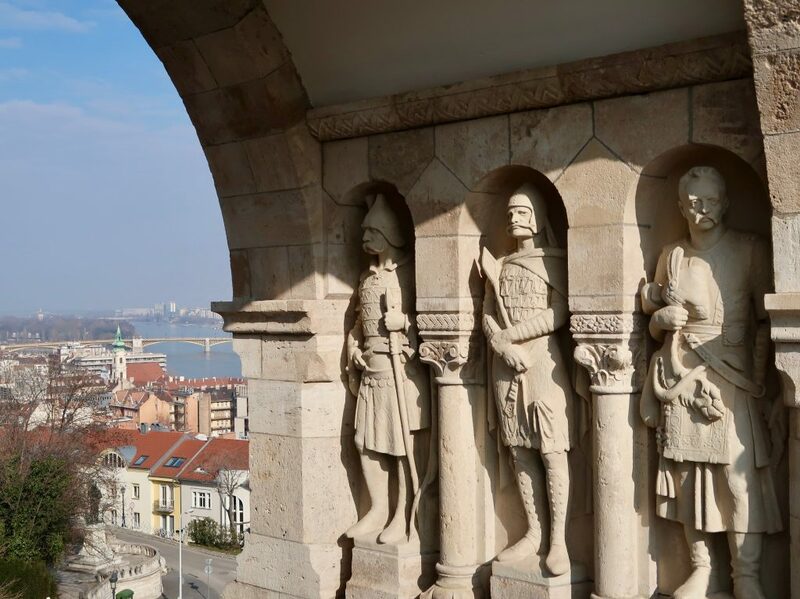 Budapest’s Castle District is full of historic sights and attractions. 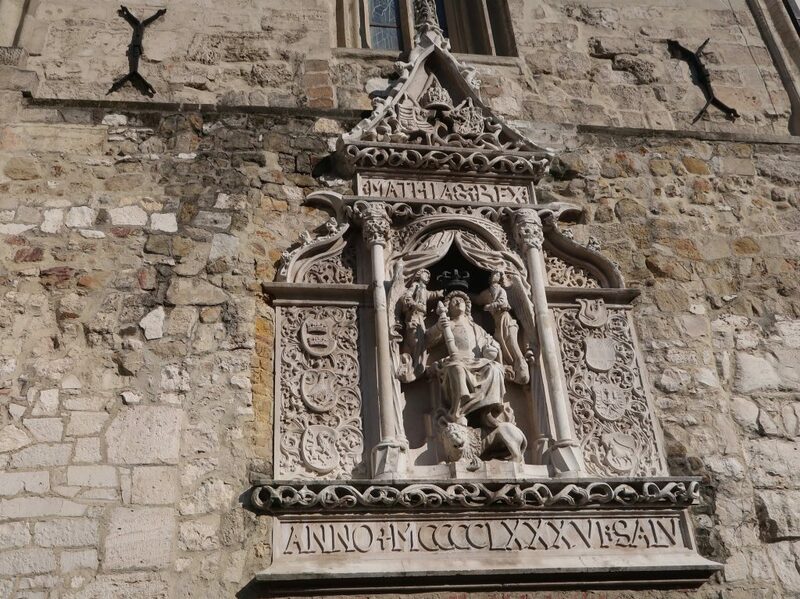 The medieval buildings found here serve as a strict contrast to our classical apartments on the Pest side. You can find many great hotels, cafés and restaurants here as well. Ideally, I would recommend you visit early in the morning before all the tour buses arrive. If you’re looking for a less touristy place to take a walk, read our blog post about our walk on the pretty Margaret Island. If you want to know more about our trip to Amsterdam, then head over to our YouTube channel to watch the video. 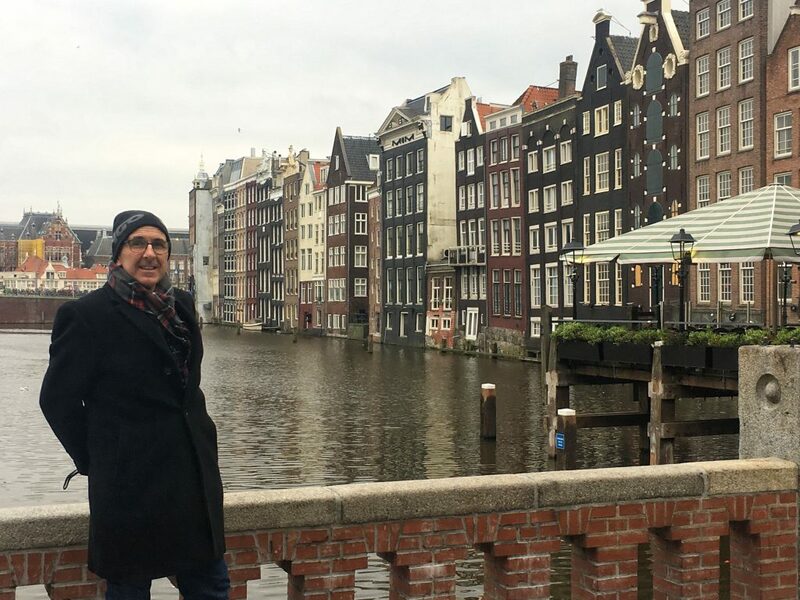 We attended the Integrated Systems Europe show, visited the Rijksmuseum, took a boat tour and explored the city. ISE is the largest AV and systems integration show in the world (or so they say). It was an educational, fun, beautiful – but chilly week. Thanks for continuing to read about our expat life!